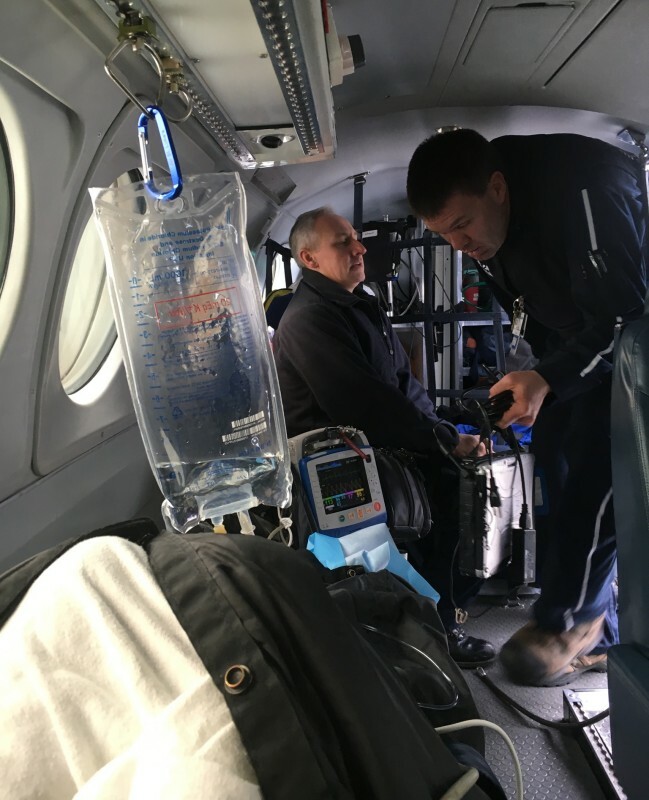 This is the view from inside the medical jet Naomi took when she flew from Boise to Virginia Mason hospital in Seattle. 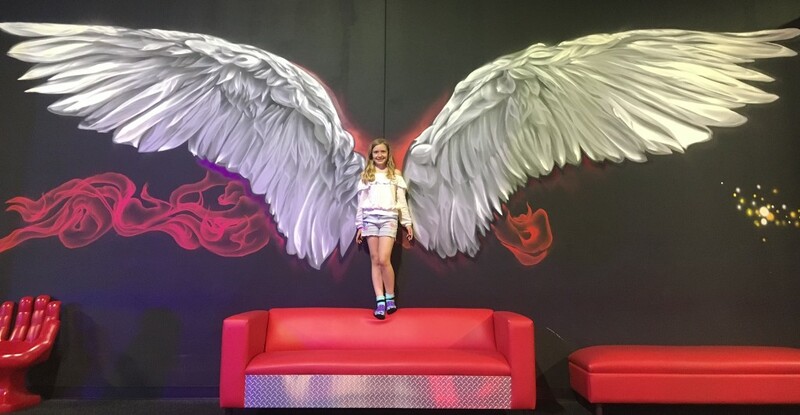 November saw Naomi going into the hospital for a procedure to help alleviate the pain from her Sphinter of Oddi disfunction, and that took place in Indianapolis at St. Vincent's hospital. If everything had gone okay, she'd have been back in three or four days, but instead she got pancreatitis and it was a long two months in the hospital. What's crazy is that the surgeon had done a study on this procedure, and during that study a patient had died after getting pancreatitis, so it was no joke. What happens is the body swells up like a balloon and you die from fluid in the lungs. Naomi did not die, but she wasn't recovering that fast either. Best we can tell, the swelling created a leak in her gut, so you have to drain the leak and dry out your digestive system to let the leak heal, so that means a feeding tube. After a month in the hospital without any real improvement, Naomi basically checked herself out and flew home. She was still leaking fluid, which then becomes infected and next thing you know we're in the ER and the ER doctor is telling us that if we go home, Naomi will die. 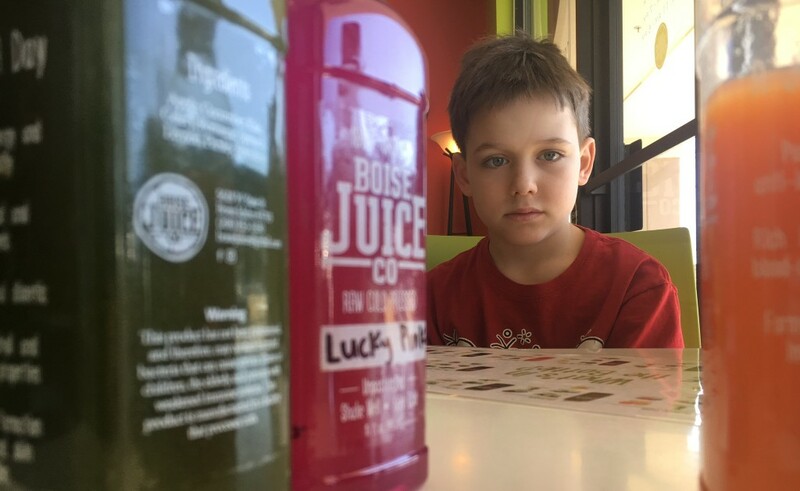 Also, St. Luke's in Boise will not admit her because her liver doctor was going on vacation. So we decided to transfer her by medical jet to Virginia Mason in Seattle because they're a pancreatitis specialty hospital. Turns out St. Vincent's in Indianapolis isn't the best place to recover, because Virginia Mason immediately went to work on Naomi, swapping out the drains for bigger ones and just doing a better job of helping her, and we realized how crappy St. Vincent's had been. After a month in Virginia Mason, she had two of the three drains removed and came back home, and she switched from a feeding tube to a PICC line that is basically IV feeding. Still the last drain didn't want to quit, but we finally caught a lucky break. The tape that held the drain in place was itching her, so we bought some sensitive skin tape, but it was terrible at sticking to her skin. The drain fell out almost right away, and when we went to the ER, they said there's no fluid collecting in her abdomen. WTF? Turns out they had placed the drain too far into her gut, so it was actually inside the small intenstine and keeping the drain hole open, and once it fell out, the hole closed and she's good to go. This isn't as stupid as it sounds, though, because the cat-scans don't give you a lot to work with, you're basically guessing as to where the drain tube should go. Worst part is, after all that torture, the pain is still there. Currently we're looking for another surgical solution or better pain management. And the next surgical option gets much worse, it's like a year to recover from it, and that's if all goes well. So wish us luck, because the adventure isn't over yet! Because Naomi was in the hospital, we missed her for Thanksgiving, Christmas, and New Years. So we face-timed those events as the next best thing. 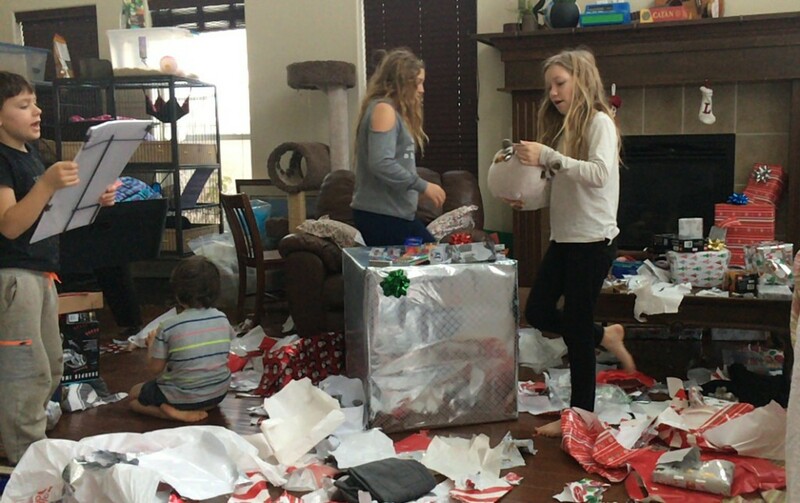 This is the before Christmas picture. And this is the after picture, two minutes later. And then the fun begins! 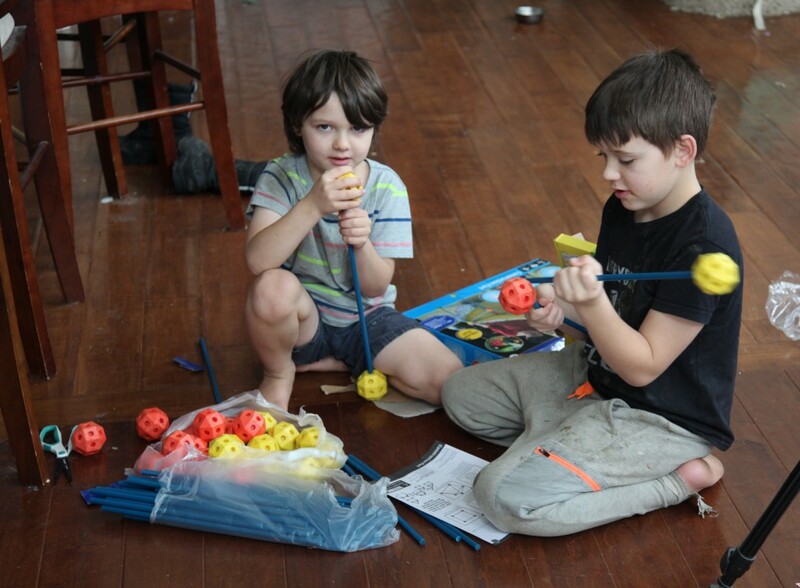 They're putting together a fort-building kit that you drape sheets over once you're done, to make a fort. 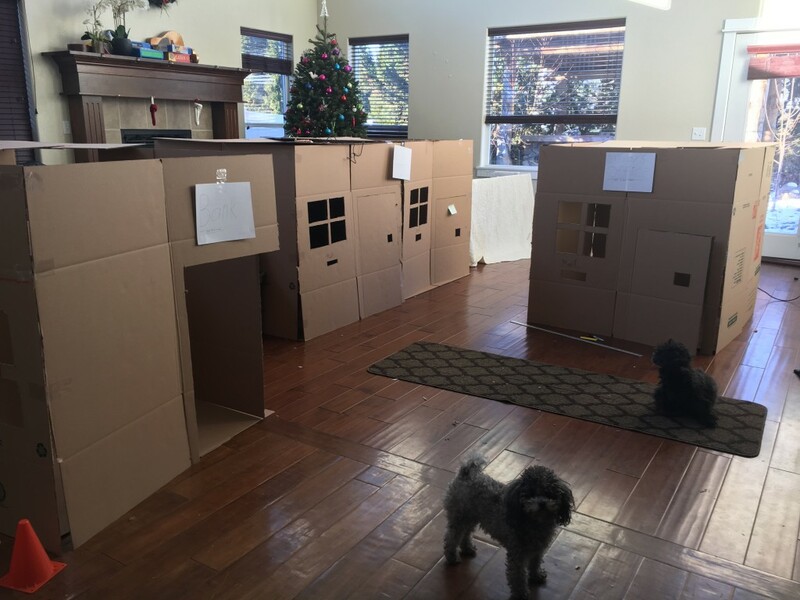 Mia build a box city, both downstairs and upstairs. She spent a couple days on it, and we had several trips back to the hardware store for more boxes. 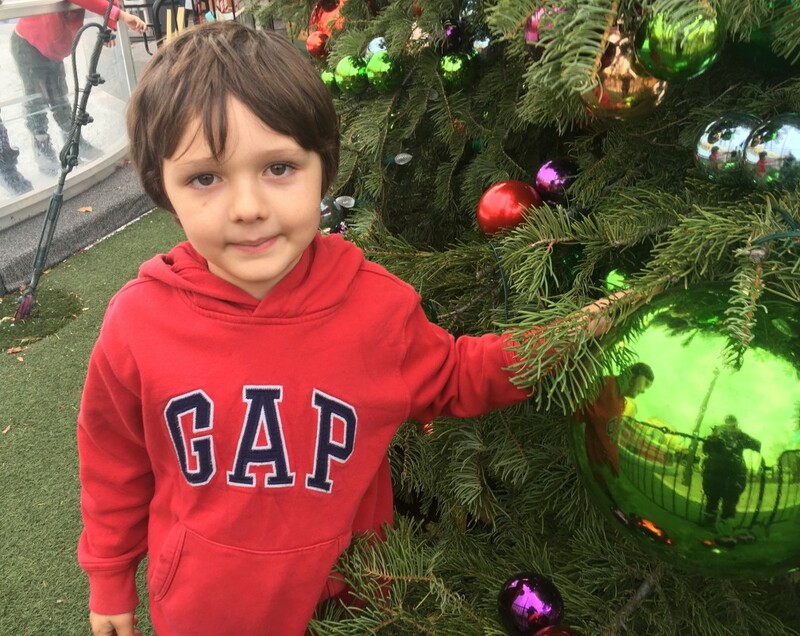 The kids went to the local mall and they had a giant Chrismas tree. This is Miles at six years old. They also put up a small ice skating rink, small but still fun. 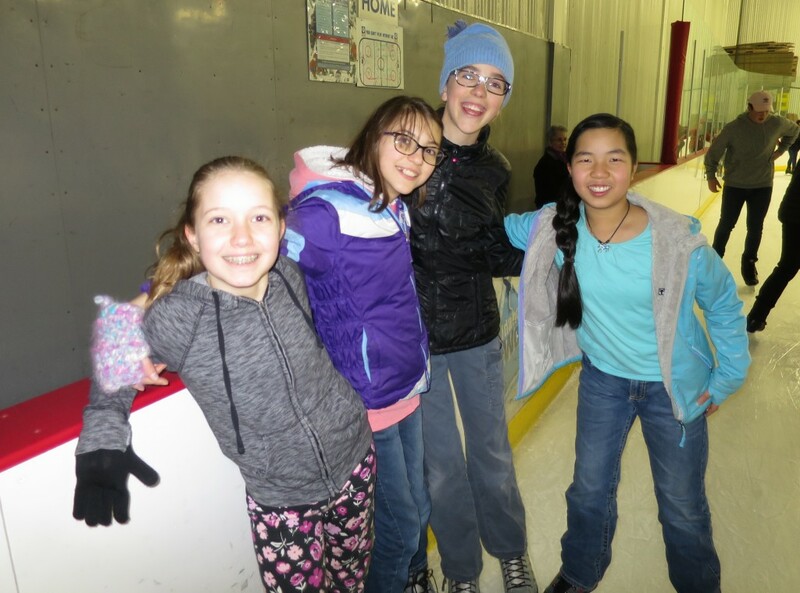 Speaking of ice skating, a friend of Mia's invited her to an ice skating birthday party, and we realized that it's been a long time since we had ice skated in a rink. We went a few times after that but the rink is so far away that we eventually stopped going. 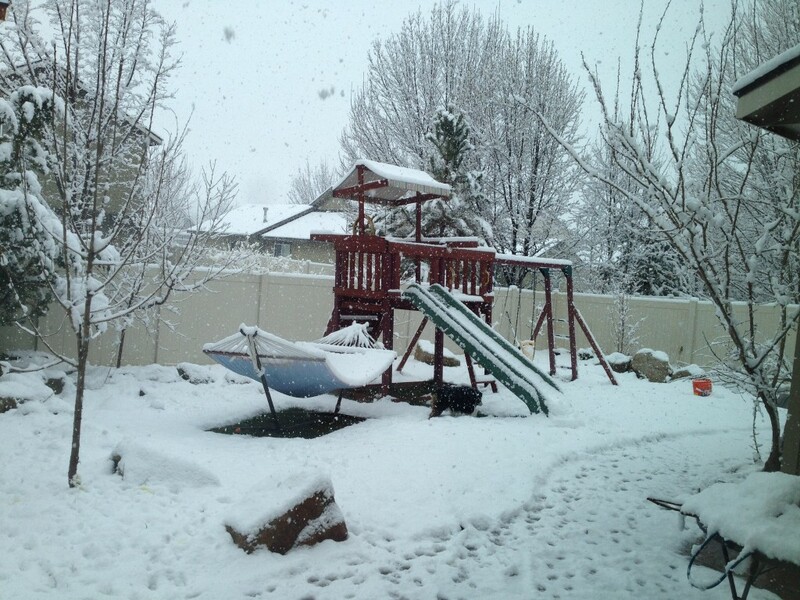 It was a long winter, let me tell you, but we only really got snow the day before Christmas. The big present Mia wanted this year was a snow-blower, since last winter was very snowy. So we got to try it out Christmas day but after that the snow quickly melted off and now it feels like I'm going to be storing a snow-blower in the garage forever. 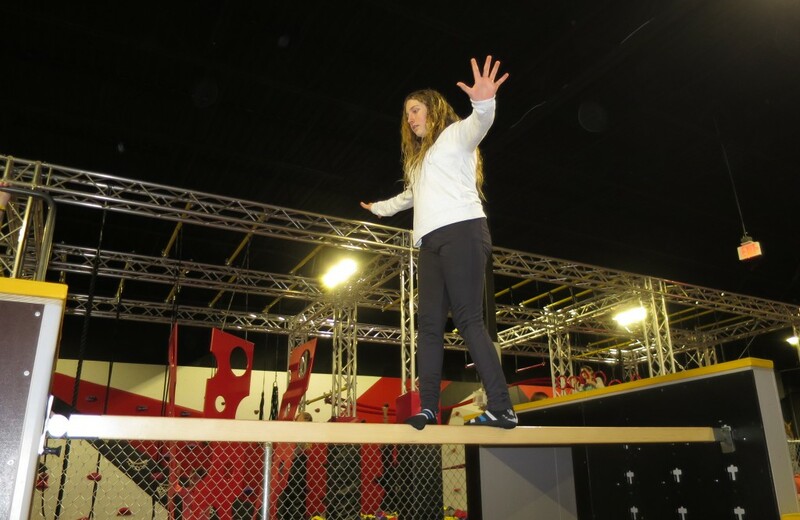 We take the kids to Circus Trix a lot, and they have a mini-parkour course the kids like. Circus Trix tries hard to be cool, and I have to say, this painting is actually pretty cool. We signed the kids up for parkour, and this is a short video of Desmond doing a front flip. 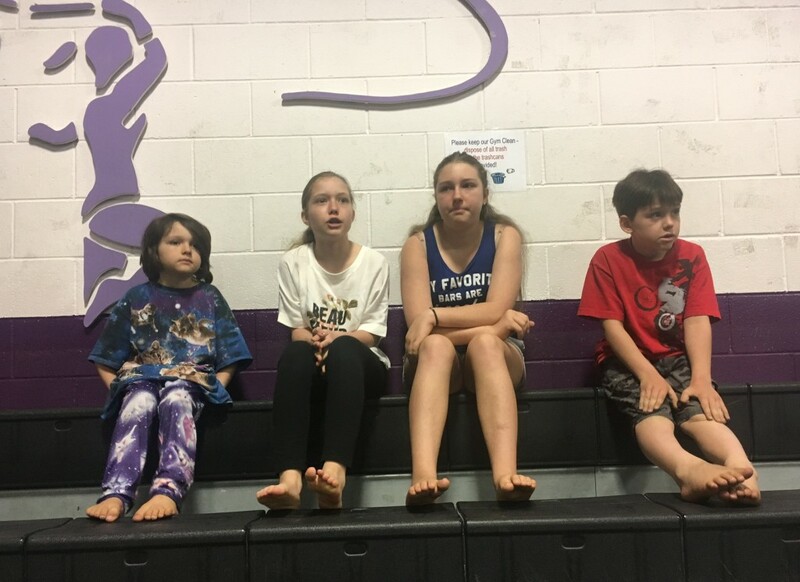 There's a great gymnastics gym by us that has a home-school class during the day for cheap. 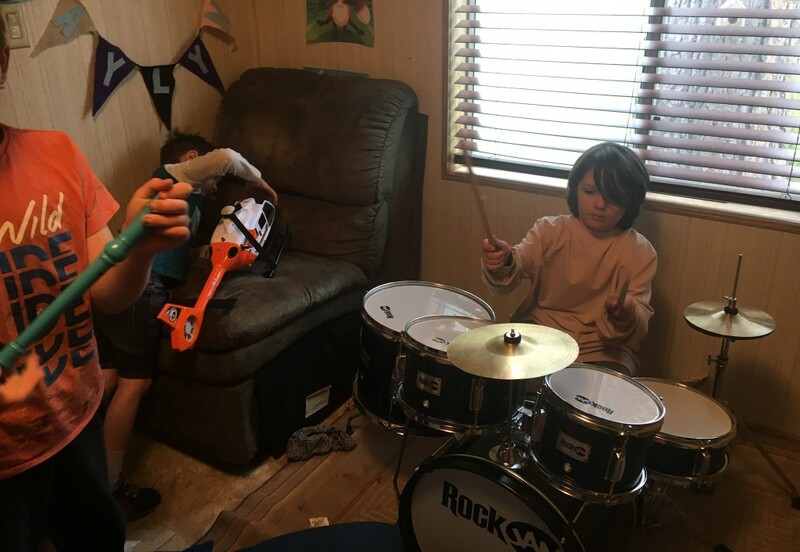 The kids are getting pretty good at it, too. He's also growing his hair long so he can whip people with it, but he still has a ways to go before he can pull that off. 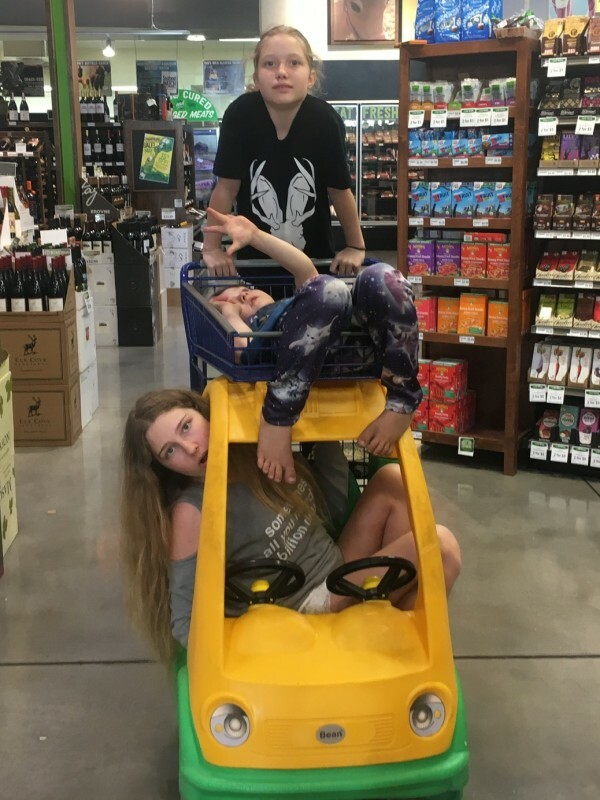 Once Naomi recovered, she was ready to hit the road right away, so she made a swing through Oregon to visit her sister and then headed south to Orange County. This is at Hannah's house in Oregon, she has three kids. This is at the Northwest Trek Animal Park. It's hard to beat the beaches in SoCal. This is at Corona del Mar. 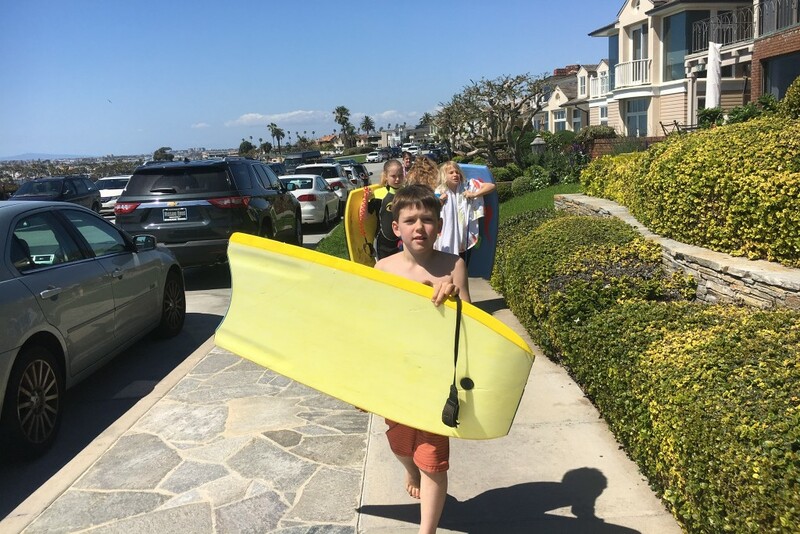 Grab the boogie board and go! But not too far. 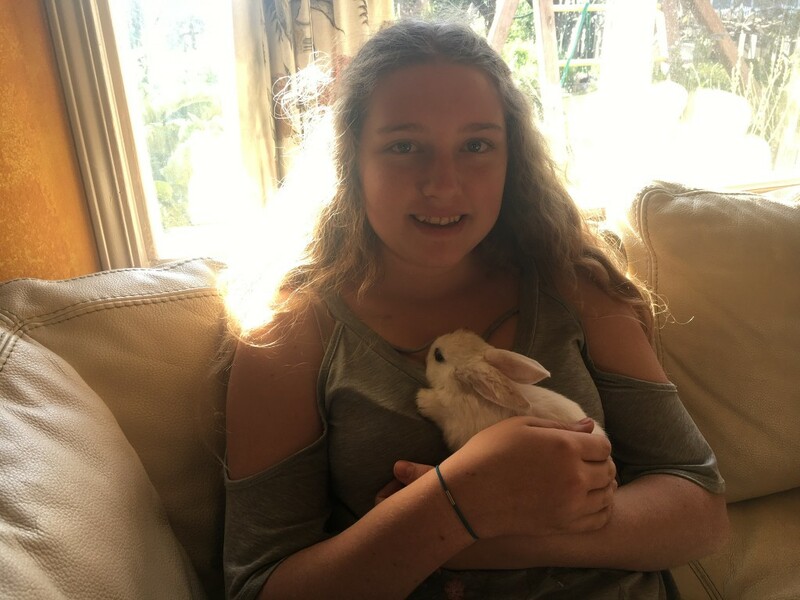 Amelie's friend Anechka had a baby rabbit, which was adorable. No stop in SoCal would be complete without hitting all the old favorites. 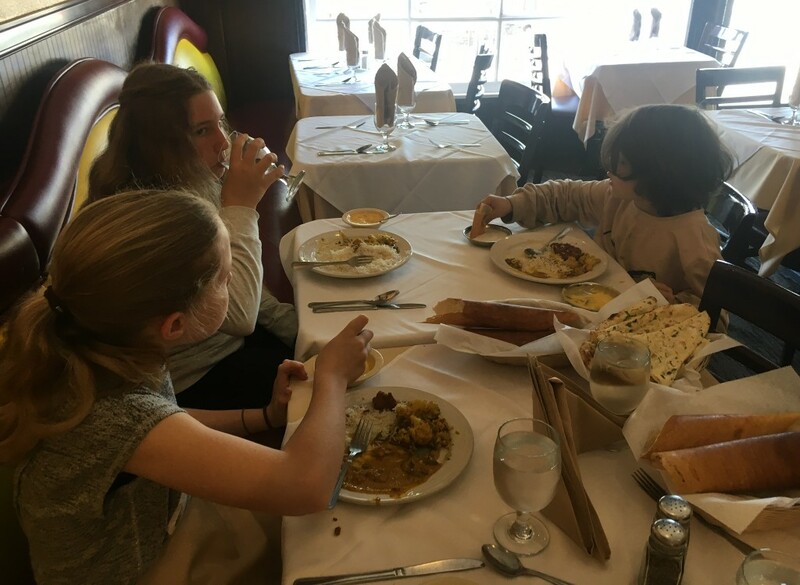 This is at Annapoorna in Irvine, which is just the best Indian food we've found. This is outside of Z-Pizza in Huntington Beach. Every time we go the kids jump around on these pedestals. They're playing tag in the video. 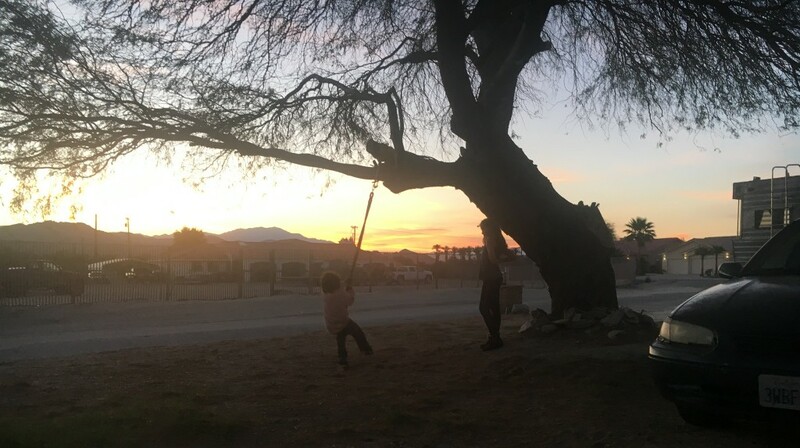 Naomi visited her mom in Indio, where they had a nice tree swing and a nice sunset to go with it. 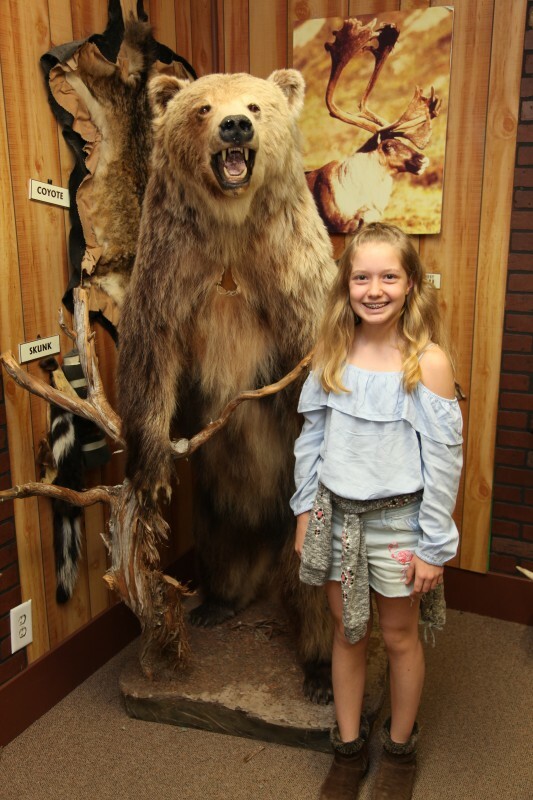 Next stop on Naomi's whirl-wind tour was Bear World, near Yellowstone Park. 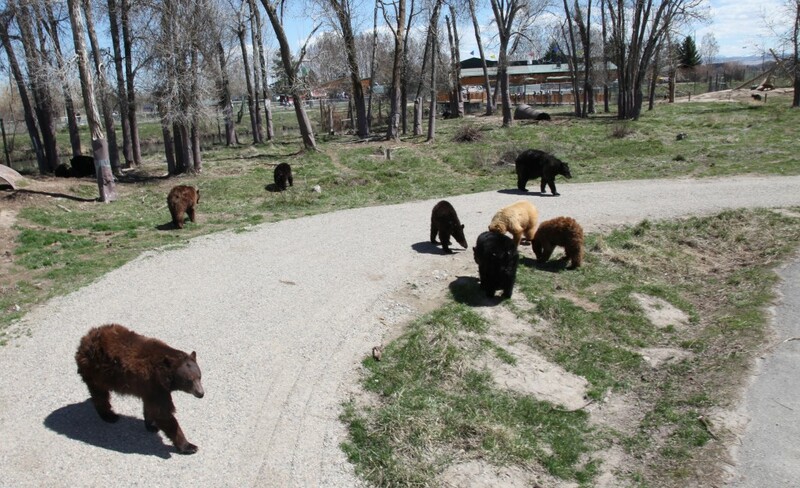 They have a lot of bears, and you can drive through them or take a tour through their habitat with a guide. At Bearworld, they had a lot of stuffed animals, so here's a greatest hits. 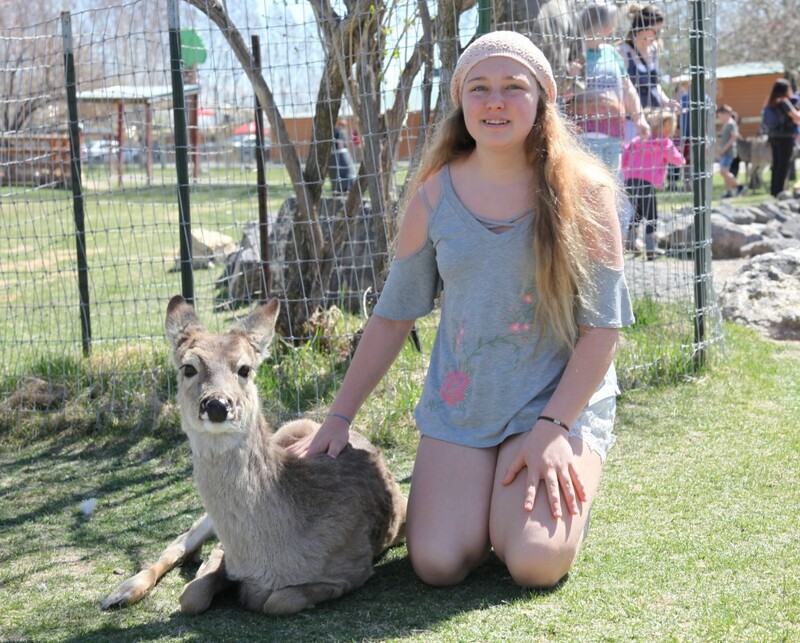 They had a nice petting zoo, with this tame deer. 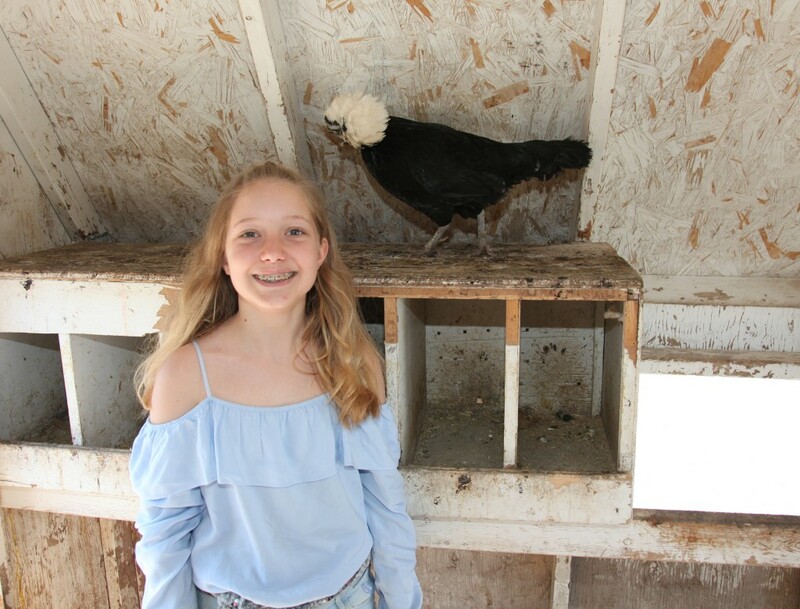 That is one fancy chicken. Bear World, I have to say, was not exciting. The bears just mostly sit around, and the rides are pretty tame. On this one, Miles is literally sleeping through it. The bear in the video puts the bread on his paw to keep it clean, I had never seen that before. And the bear cubs are pretty cute. When the cubs are a bit older, you can pay extra to play with them. 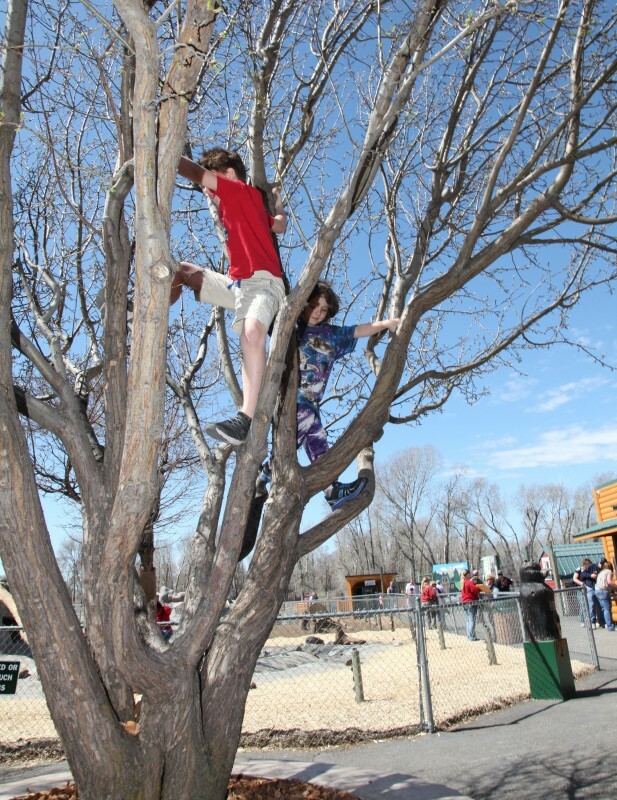 The funnest thing the kids did was climb this tree while waiting for the guided tour to start. 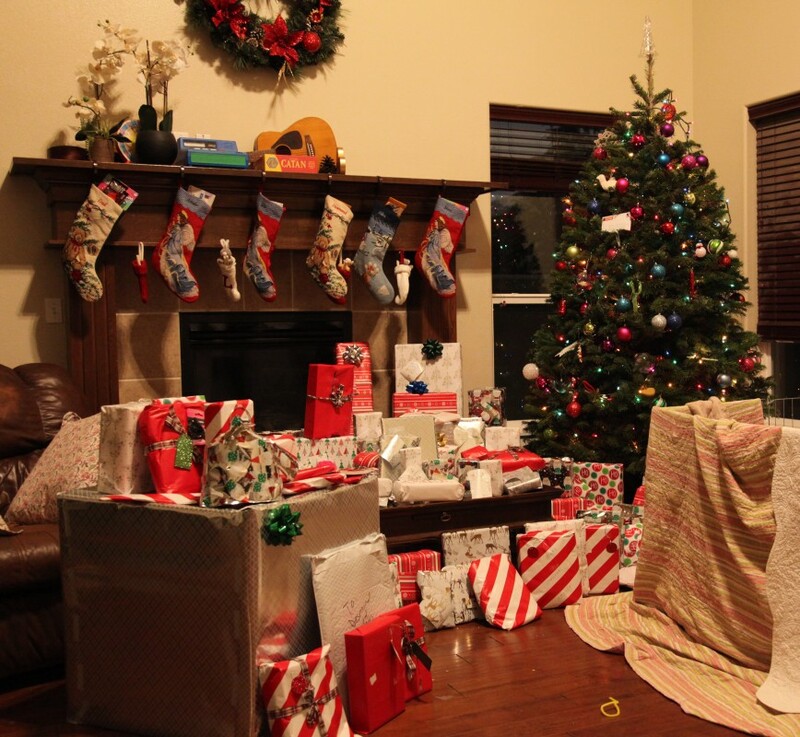 Of course, they kicked the kids out of the tree after a few minutes. 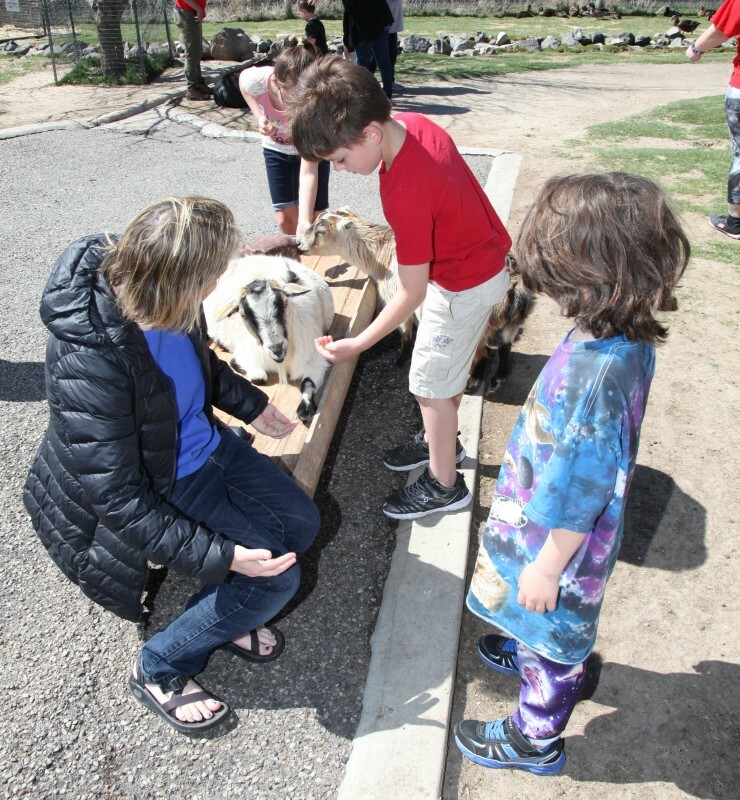 For the guided tour, you sit in a big truck and go around the park throwing out food to the animals. 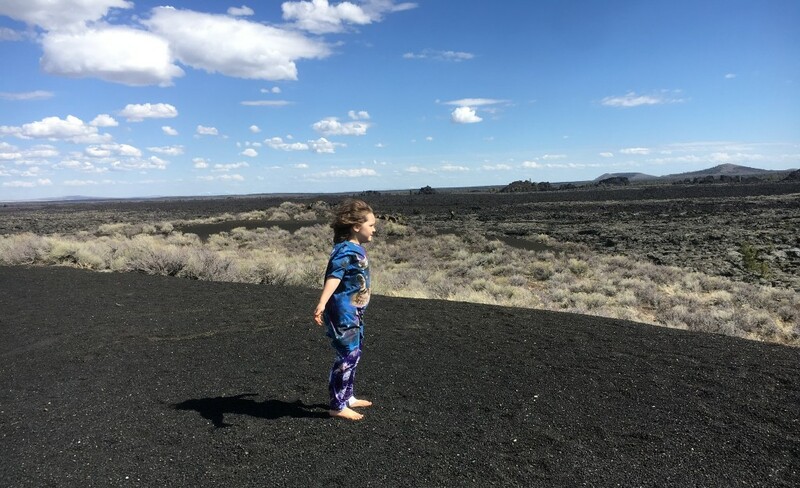 On the way back from Bear World we stopped at Craters of the Moon National Monument. It's a huge area that was covered by lava two to fifteen thousand years ago. 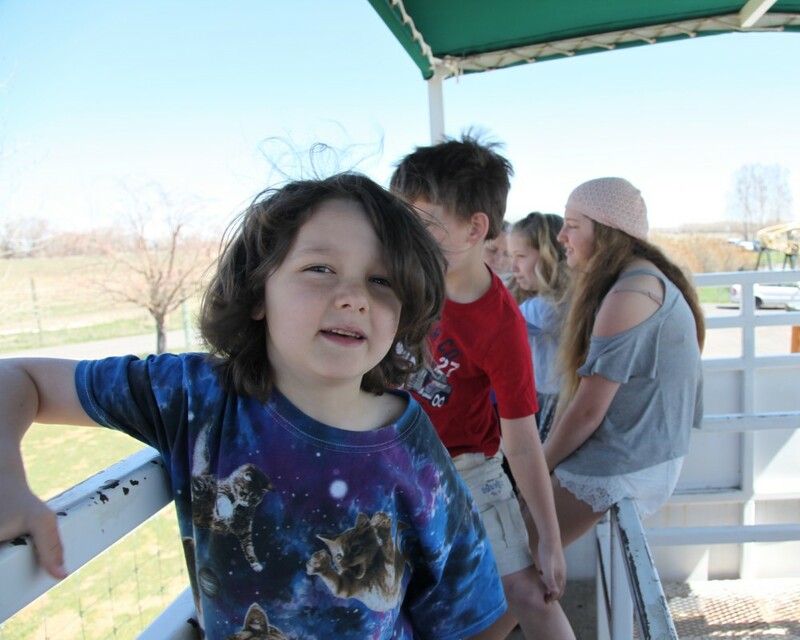 It was really windy, though, and Desmond was freaking out about wanting to go home so we didn't tour the caves they have there. 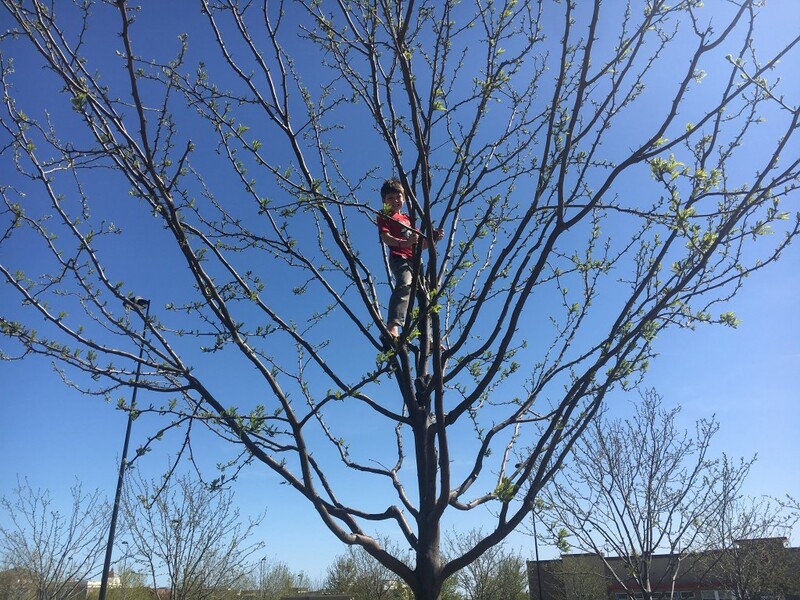 Speaking of climbing trees, here's a couple more pictures we randomly have of Desmond in trees. He spends a lot of time in trees. Spring is here and that means puppies! 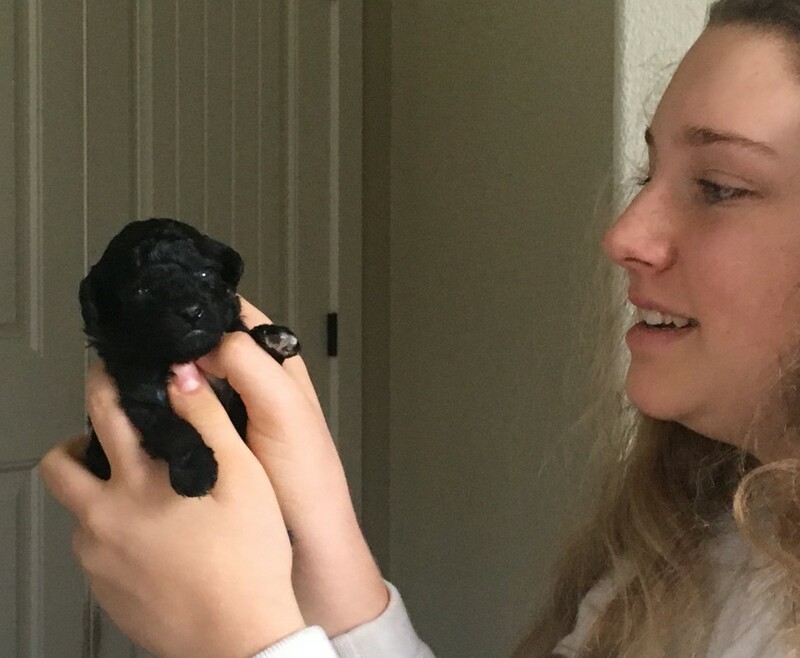 Luna, our toy poodle, had a couple of cute puppies. 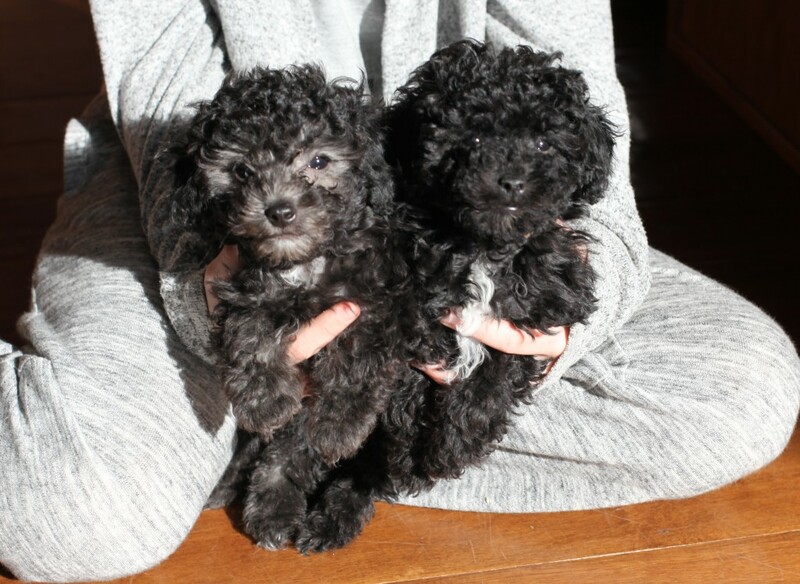 These are when the puppies are a bit older. 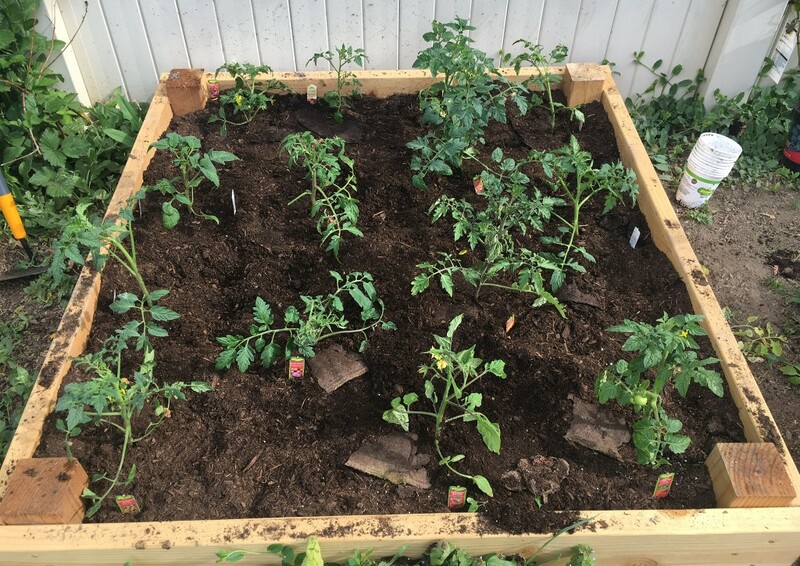 I built some planter boxes and we got down to business, planting serious tomatoes, like fourteen different kinds (almost all heirlooms). Only the cherry tomatoes produced, though. Better luck next year. I love this video because right at the end you can hear the swing that Amelie and Desmond are sitting on breaks. We had to throw it away. Naomi has been taking the kids to the YMCA, where they have a rock climbing wall. This video is sped up 4X because otherwise it would be sooooo boring. Naomi took the kids bowling, and I love how both Mia and Desmond drop the bowling ball. It's harder than it looks, this bowling. I also like how at the end of the video, Miles takes his ball off the rack so the other kids don't use it. 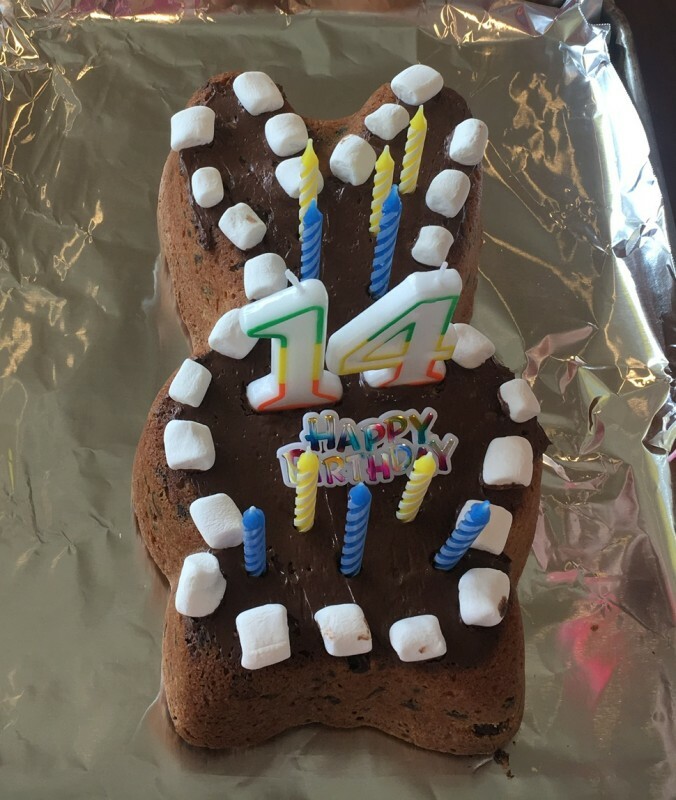 Amelie turned 14 this year, which is a mere four years away from 18, which seems incredible to me. 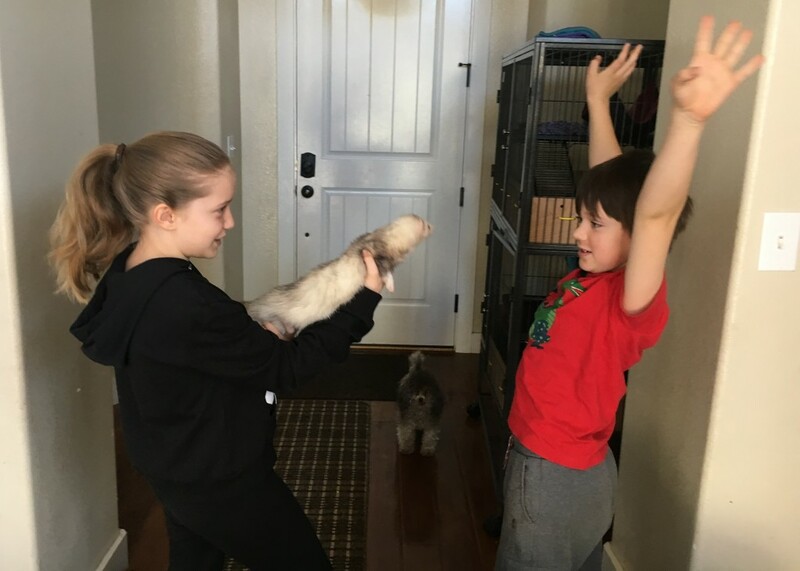 I'm glad we had four kids so we stretch out how long we get little kids for, because, man, they grow up fast. 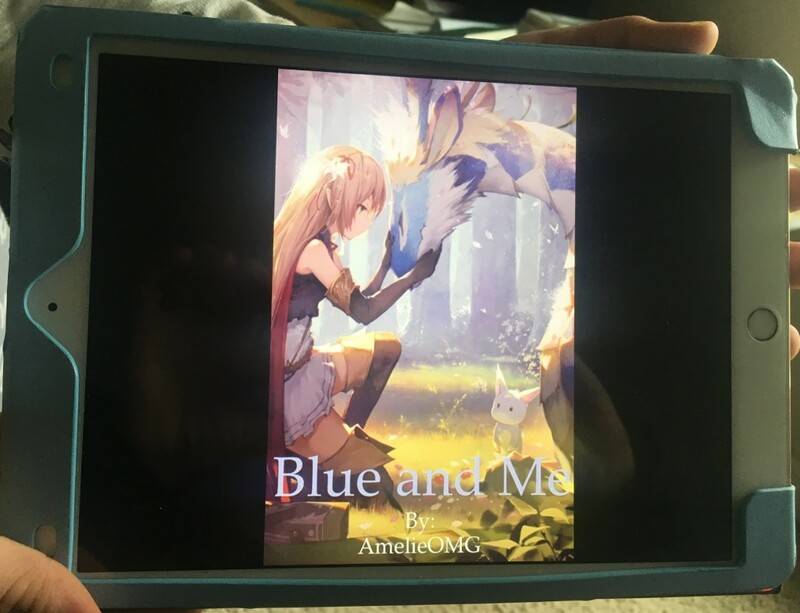 Amelie started writing a fantasy book called Blue and Me, about a girl and shape-changing blue dragon, and created this cool cover art for it. 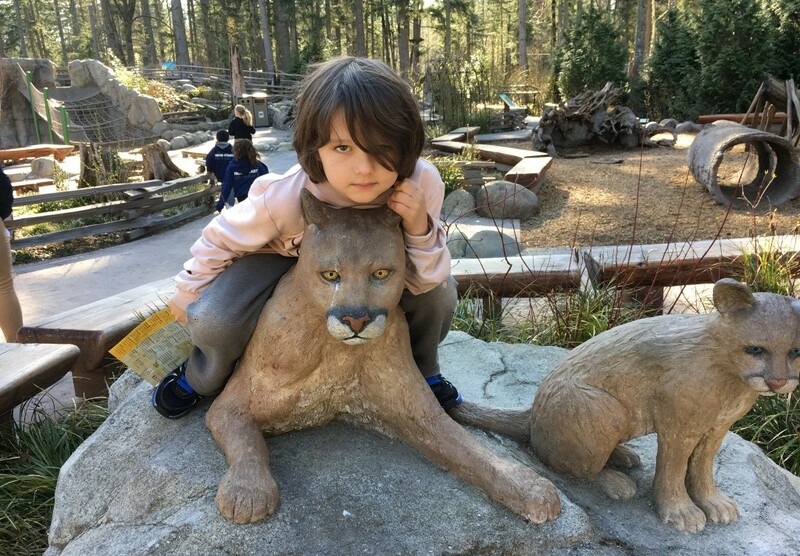 Hot on the heels of Amelie's birthday is Desmond's 9th birthday. We got a llama piñata for him and it didn't last long, especially once Amelie got a hold of it. Desmond wanted a theramin for his birthday, which I thought was a great idea. I like it, although I have no idea how to play it. 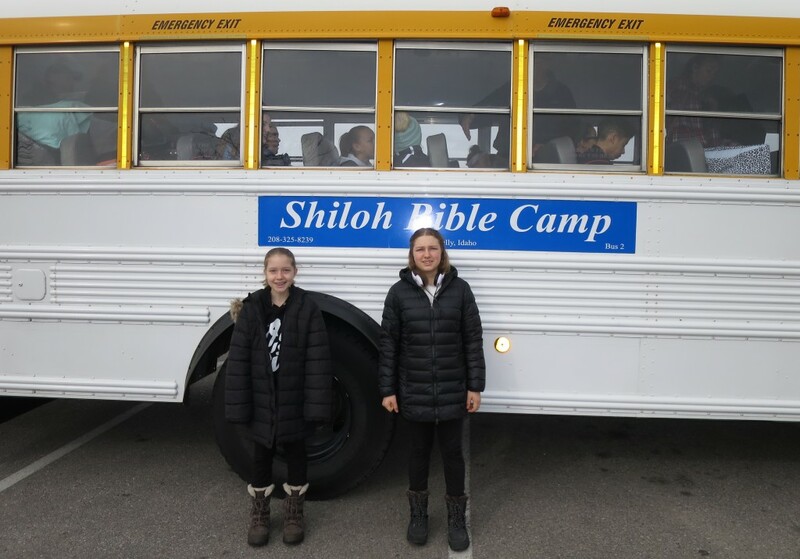 We tried, just as an experiment, to send the girls to bible camp. We're not religious, but what the hell. 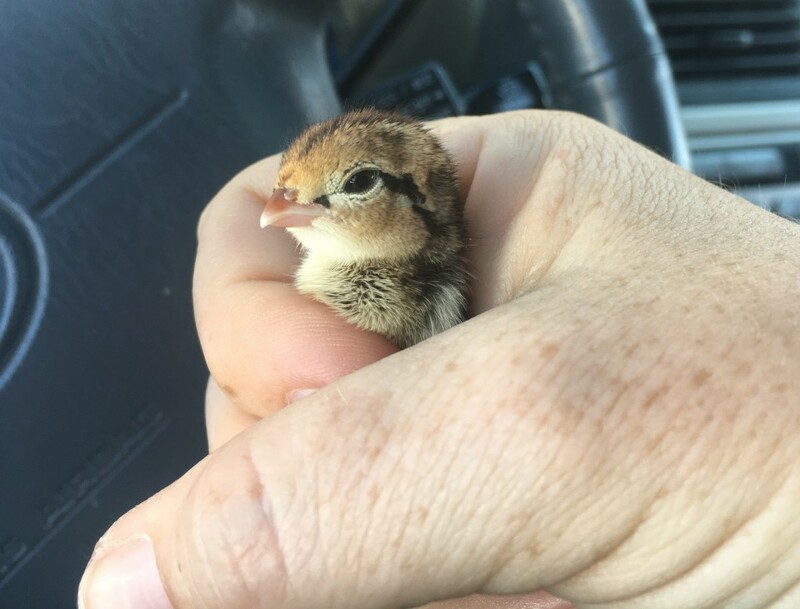 It's a couple hours away in the mountains, and they did make it to the next morning before they called us to come get them. 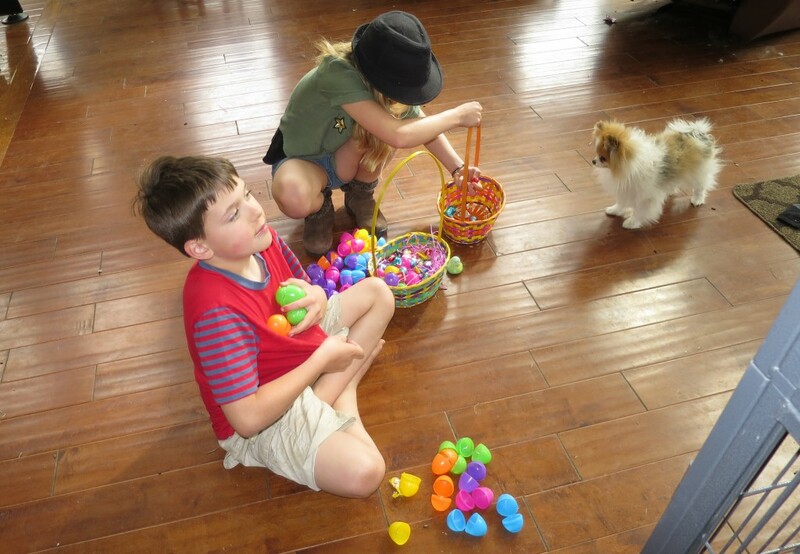 We did an Easter egg hunt, and I have a video of it, but it's long and boring. The best part is enjoying the spoils, anyway. Mia had to create a game for her school, and I'm not clear on the rules, but it involved knights and kings and probably got a little stabby at times. Not sure why you need a mustache, though. 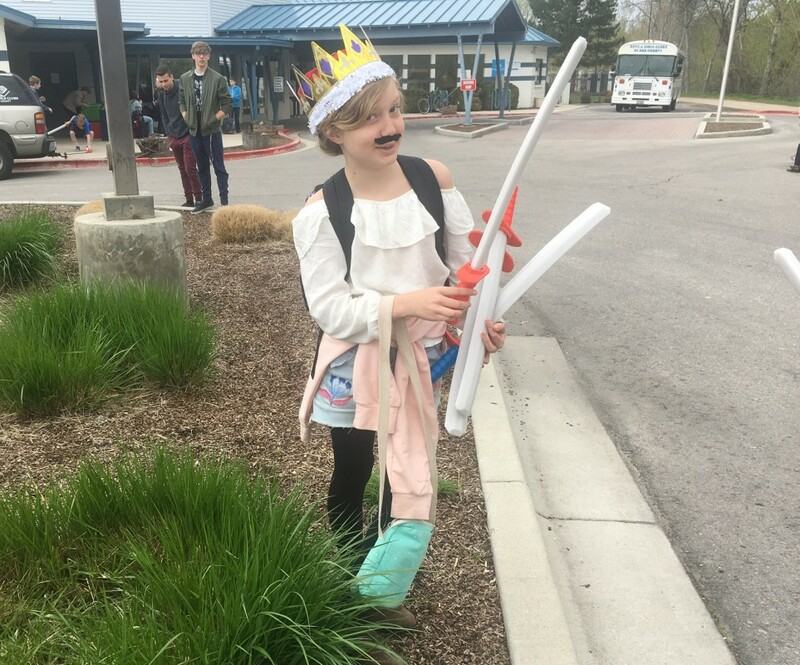 At the end of the school year, all the kids dressed up as a character from the middle ages, and Mia was a medieval peasant. This video is a little long, but it's her presentation. 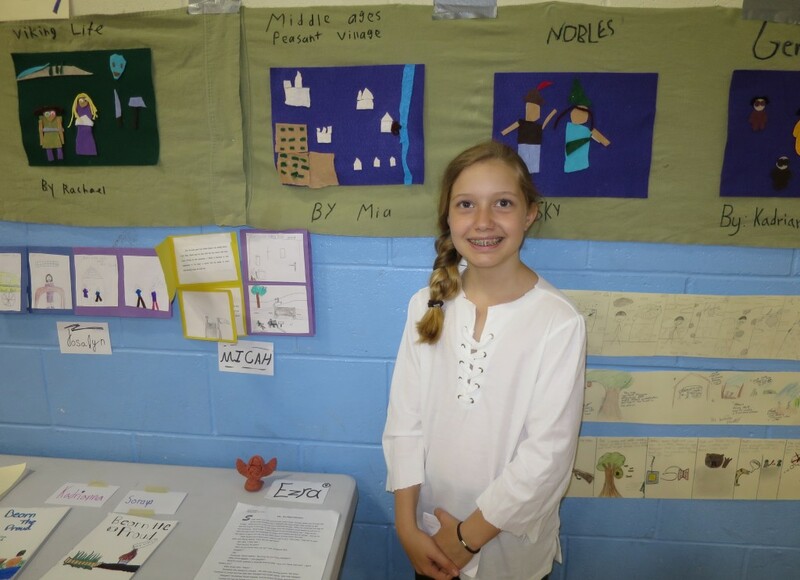 They also had to create some artwork about the middle ages, so Mia is standing in front of her peasant village. Here's a series of pictures that I'm going to call, "Weird Things Kids Do". First up, ferret gun! Truly bizarre. Did someone say tic-tac-toe? 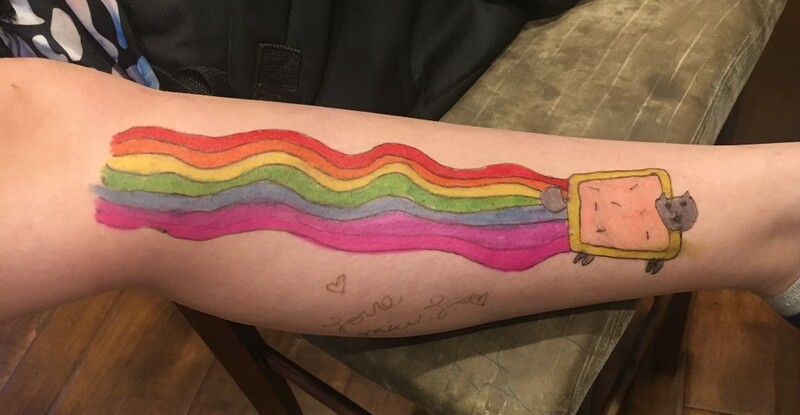 This is a drawing Mia did on her friend's leg that's a slice-of-bread cat shitting rainbows. 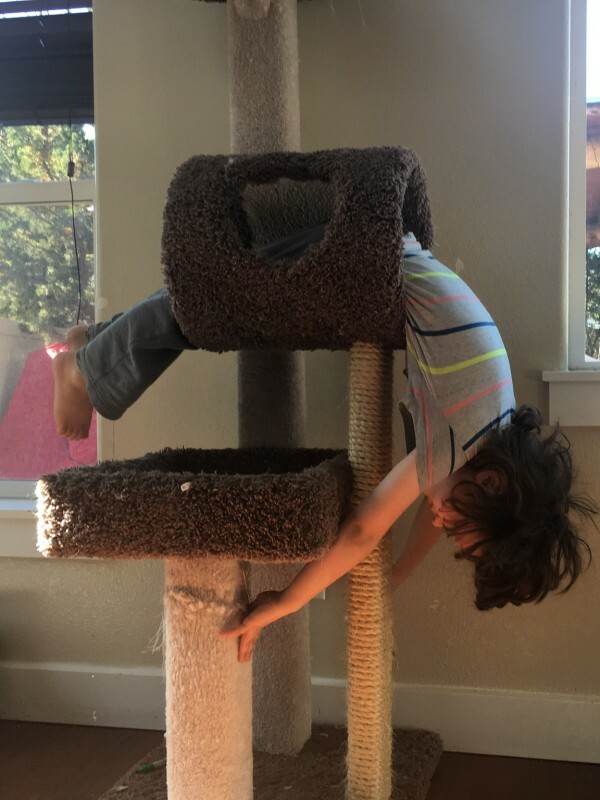 The cat-tree holds a weird attraction for all the kids. Leaving the best for last. Single people do not shop like this. Until next time, enjoy the insanity!